This is a complex CS-Cart modification that can be useful if you have one online store and several brick and mortar stores with different product availability in different cities. When a user opens your online store url in a browser, the city is defined automatically based on a user IP or a user sees a pop-up with the Choice of cities. A user clicks on the necessary city and can continue to browse the site. The prices and stock for the products are shown exactly for a chosen city. 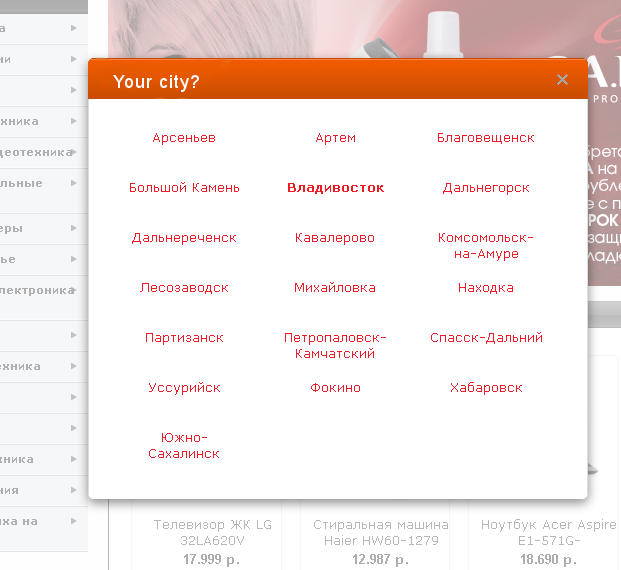 A user can change the city in the website header and view the store locations for this city. Admin specifies the list of cities to choose from. Admin can specify the store locations for every city. On a product editing page in a special tab Admin can set the quantity of available products per a store location and the product price per a city. The modification also allows Admin to enable subdomains for certain cities (for example www.lancaster.my_store.com). Don't forget to let us know your CS-Cart version.